1920's view of the station. 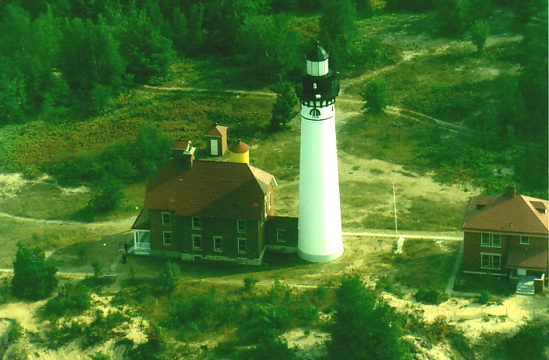 This light was called Big Sable Light until 1910. 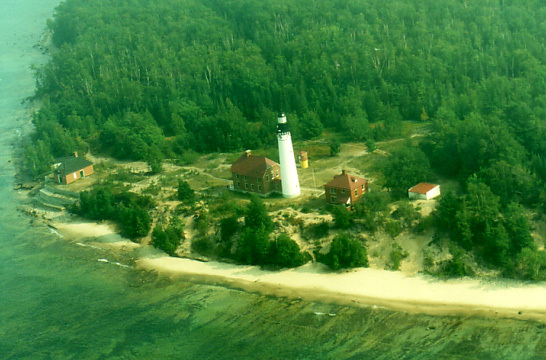 The National Park Service is in the process of restoring the lighthouse. 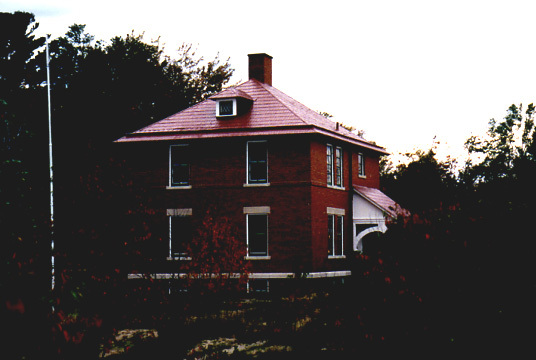 The tower and red brick building keepers dwelling and matching red brick fog signal building are still standing. 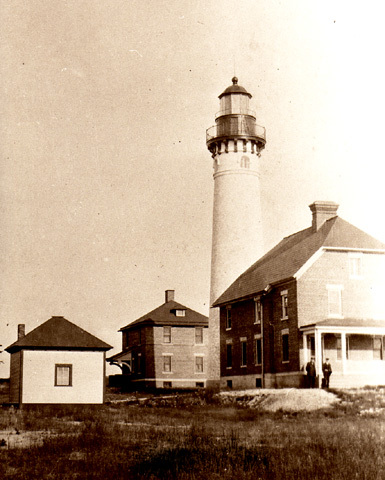 The boarded lantern area is an impressive sight. 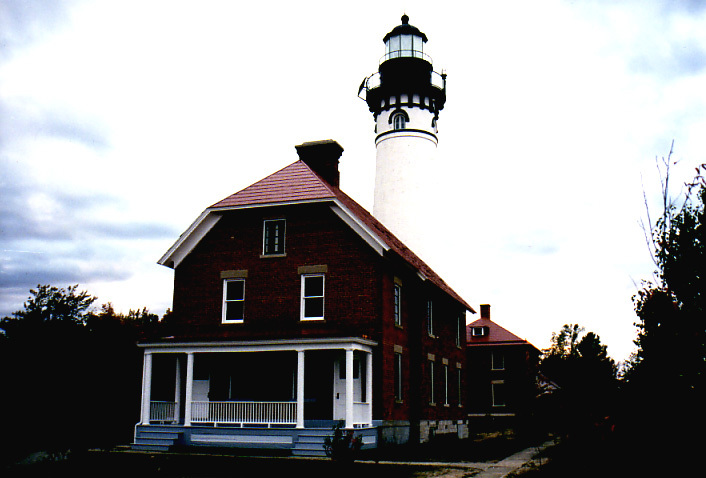 The third order fresnel lens is on display at the National Lakeshore’s Nautical and Maritime Museum in Grand Marias. 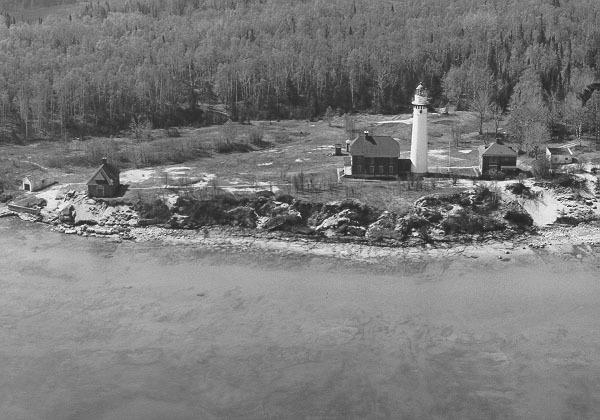 An undated US Coast Guard photo from the air. 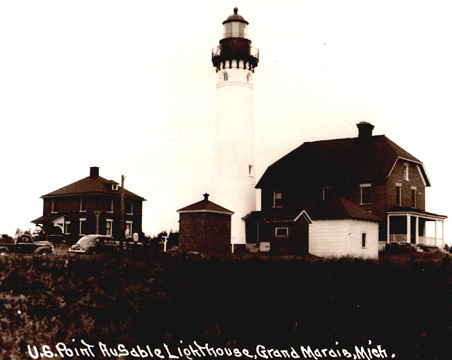 A view from an old postcard with all the windows boarded up. A current view of the station from the air in 2001. 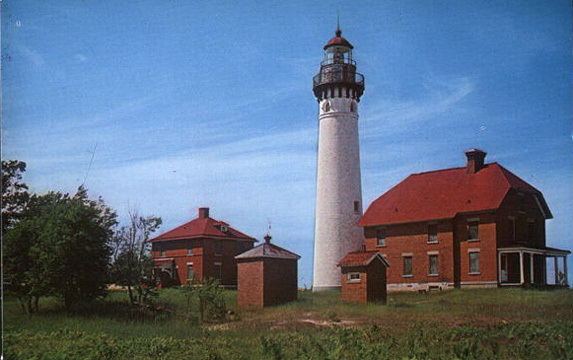 An early evening view in 2001. Same below.